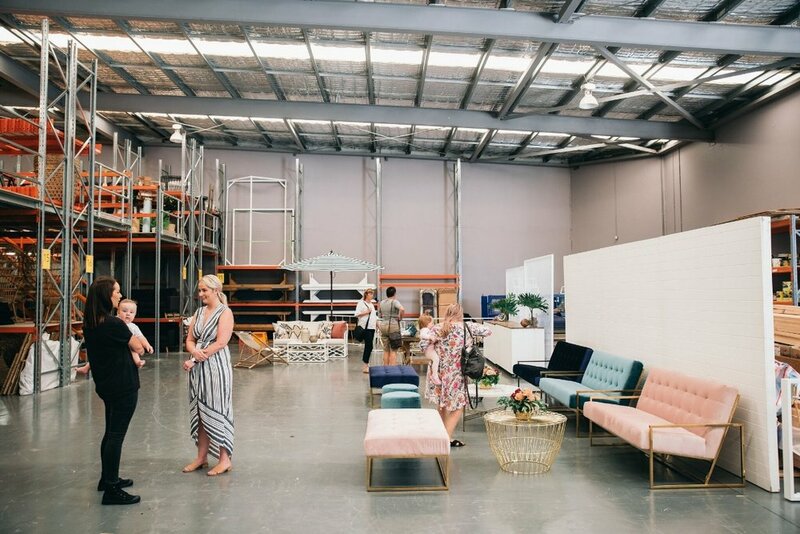 We recently opened the doors of our brand new warehouse for our very first Open Day of 2018 - and what an amazing day it was!! 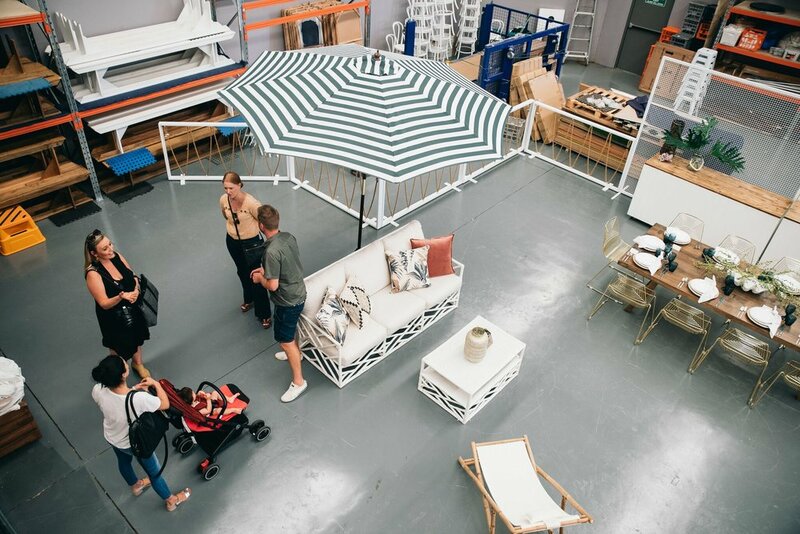 Showcasing our brand new range of wedding and event furniture through a series of innovative styled spaces, our Open Day was the perfect opportunity to provide some modern, on-trend inspiration to both brides and grooms-to-be as well as industry professionals. Our guests were able to check out all of our stunning new pieces in action, brought to life with the help of lush florals by Wishes Floral Styling and stationery by Paper Paper Co. From our luxe velvet lounges to our new Icelandic marble collection, black dining tables and white round bar, we had such a great time showing our guests around the space and talking through plans for their upcoming events. Our friends at Figtree Wedding Photography were there to capture every beautiful detail, so take a look below to see how our 2018 Open Day unfolded with some of our favourite snaps from the day! Our velvet lounges in blush, teal and navy created a beautiful focal point against our white VJ backdrops. Paired with both our gold wire & Icelandic marble coffee tables, we completed this elegant setting with our velvet bench ottomans and colourful florals. Our brand new black timber dining tables made their debut, paired with a selection of modern luxe pieces to create a bold, sophisticated setting. 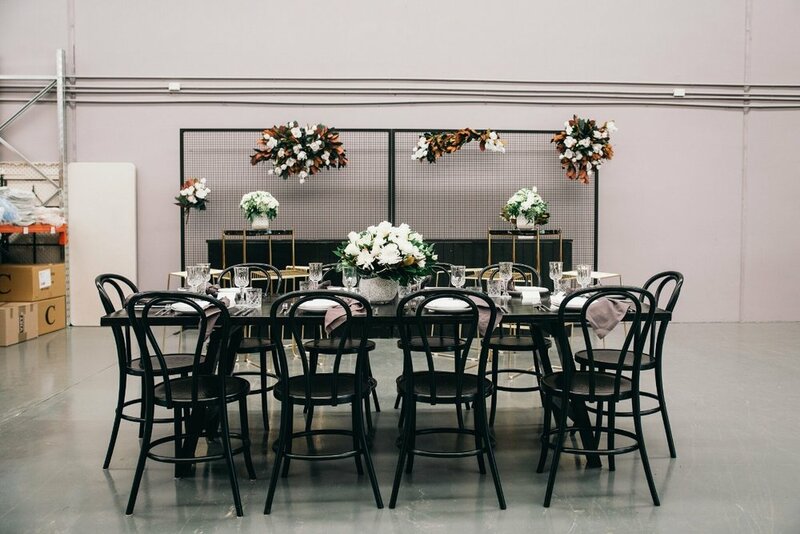 Tablescapes were styled with our charcoal linen napkins, crystal glassware and silver cutlery, sitting pretty in front of our black wire Soho backdrops, Icelandic marble dry bars and gold Icelandic stools. An elegant and organic table setting was created with our gold Soho dining chairs and timber feasting tables, beautifully styled with our decorative blue glassware, rattan charger plates and trailing greenery. 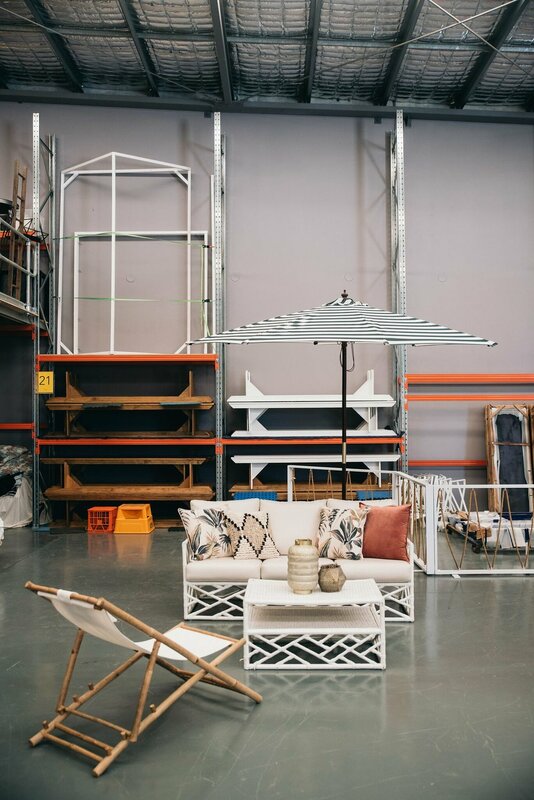 Behind this natural tablescape stood our white VJ timber bars and white Soho backdrops, overlooking our white summer sofa setting and new linen deck chairs. 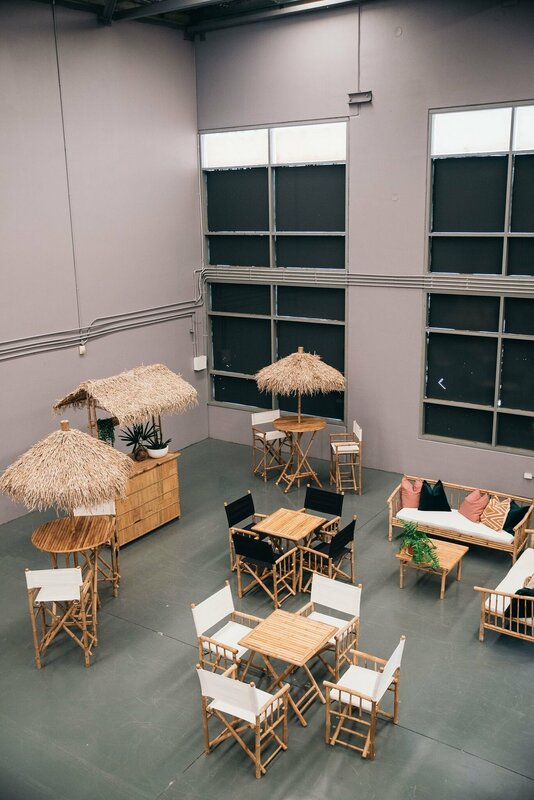 And finally - our Bahamas cocktail collection created an Island-inspired corner, filled with our bamboo dry bars, white and black director chairs, cafe tables, bamboo lounges and statement Tiki bar! A huge thanks to everyone who joined us for our first Open Day of the year - we loved meeting you and can't wait to help you bring your upcoming events to life with our new collections! If you couldn't make it on the day, you can also get in touch with our team for a copy of our 2018 catalogue. 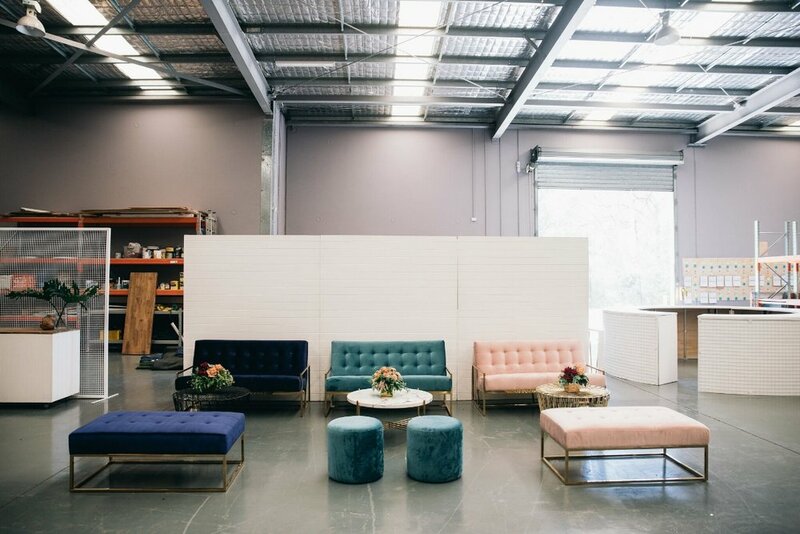 Our new catalogue includes all of our 2018 event hire collections - you can touch base with our team via our contact page, or give our office a call on (07) 5523 9564 to chat through your event requirements with our friendly sales consultants.